In Spirits The Philosophy of Inspiration is a treatise on inspiration, a new dimension and interpretation of the whole Vedic literature. In Upanishads sages separated imperishable from perishable through the process of transcendental method to know God by the knowledge of Self as "knower of God is higher than the worshipper of God." For them God is not a creator but a relationship of unity between Man and God as a drop of water is not a creation of the ocean but a mini-ocean. 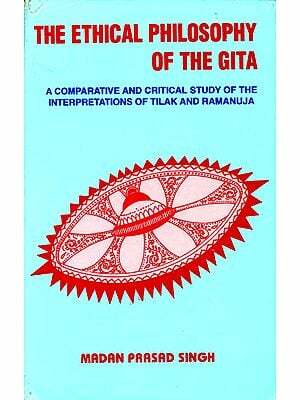 This book is a compendium and commentary of Vedic/Sanskrit literature and a sort of encyclopaedia. The subject matter of the tour Vedas explains the purpose of hymns of praise to natural objects personified as gods-in the form of devotion, rituals and sacrifices. The author has used his sound knowledge of astrology in Atharva Veda section in which he interpreted the sun sign of the Libran trio-Mahatma Gandhi, Dr Abdul Kalam and Dr Manmohan Singh in conjunction with the sun sign of India. It is a rare and fascinating insight never attempted before by any astrologer in the world. In the seventies of the last century believers began to use violence, murder and destruction in the name of religion. Since then terror has become the technique and policy of religions to gain political ends, which cannot be achieved by peaceful means. It has encouraged me to read and study great religions to find the thread of this carnage and mayhem. I began to study and understand Aryan religion. The following chapters are the result of my study and understanding. This book is written for an ordinary and simple soul who is enthusiastic, motivated, and has a burning desire to be worthy of him and others. For a dedicated and sincere reader this book could supply ingredients of conceiving a vision that may give birth to inspiration in him. Learning music or reading a book is not enough, one has to be inspired to become a musician or a creative writer. It is my observation that Vedic literature contains three religions; it developed in stages in the interval of about three to five thousand years before the birth of Christ - from Rig Veda to the great epics, the Mahabharata and the Ramayana. One religion is of four Vedas - to worship natural objects like sun, moon, rivers, mountains trees, animals, etc. as devas through prayers, rituals and sacrifices. Prayers are sung in their honour and power; sacrifices are made to force them to comply with the wishes of devotees. These compiled and conceived hymns of prayers are originals, found in the history of civilisation. Life cannot be conceived without the natural phenomenon of sun, moon, fire, water, mountains, etc. as these help to sustain life on earth. Everyone can sing the hymns and mantras for the help they provide to us. The singing of hymns is not exclusive to Aryans or Hindus; anyone can share the value and importance of the natural phenomenon by singing with devotion. In a democratic country like India, Muslims, Christians and Hindus can pay their debt to these natural objects. The second religion of the Vedic literature is the religion of the Upanishads. With the passage of thousands of years sages came to the conclusion that nature is changeable and hence cannot be considered as God, for God is changeless, and around him everything revolves. The same is equally true with one's state of mind. Pleasure is followed by pain, happiness by sorrow, fear by courage. But the question that baffled sages was, "Is change itself the ultimate reality, or is any changeless essence the basis of all change?" A clue was ultimately found to the mystery of knowledge, and sages discovered that by knowing, for example, the nature of clay one knows the nature of everything made of clay. The search of this One led to the nature of man himself. Therefore, the study of man opened a new chapter in the discovery of God in man. One should search God within and not outside. It has shifted the approach of the Vedic sages from nature to man himself. The worship of the outer phenomena of the Vedas had been transferred to the study and knowledge of the inner self. It is the knowledge of the unborn and the unseen prescribed in the Upanishads or the Vedanta. The new gods of the Upanishads arrived in the form of Brahman or Atman. The, third religion of Vedic literature is 'the religion of Sutras and Puranas that led the worship of forms, images or idols like Shiva, Vishnu, Brahma, Ganesh, Lakshmi, etc. For the first time in the Vedic age worship of these visible gods in the forms of images was practised in temples. The chief object of worshipping an image of God was to understand the invisible with the medium of visible images. Idol worship was evolved for children, women, traders, agriculturists, and the lesser members of the society, as they were not competent enough to comprehend the invisible Brahman of the Upanishads. As an analogy, one can comprehend the sound of music only by observing the musical instruments. If we go further in the realm of Vedic literature, the sources of two other religions can be traced in it-Buddhism and jainism. The superstructure of these religions are based on Vedic literature just as the New Testament of Christianity is based on the old Testament of Judaism; just as the religion of the shrine of Ka 'bah originated from the temple of Abraham, where believers of other religions of Arab population used to go for worship. Best of all is not to be born. It is the voice of the Upanishads and Buddha, sung by a German poet. Again, sentimentality and feelings are the common property of Germans and Indians. Indians love description of nature expressed in the vedas and by poet Kalidasa, so too do the Germans. There is another similarity-the Indians are the scholars of the past and the Germans are the scholars of the present. The Germans are undisputed leaders in all fields of philology and linguistic science based on the scientific system on Indian classification of linguistic phenomena. Even before the birth of Christ, grammar was the passion of India, where it was studied with great enthusiasm -a study in which Indians led all other nations in the ancient world. Panini, the great grammarian of the ancient era, recognised that before him 64 generations had contributed more in ancient India. There are not very many English scholars or writers who have done good quality work on Vedic literature like the Germans. Whatever work has been done by English authors, was carried out due to the administrative needs of the colonial rulers to govern India. The first was Sir William Jones who established the Asiatic Society in 1784, and translated two plays of poet Kalidasa and the code of law book of Manu. The other English name of repute is Colebooke who, at the beginning of the nineteenth century, handled the Vedic literature on scientific lines and published many translations and textbooks. The next is A. B. Keith who also did good quality work on Vedic literature. Sir Edwin Arnold drew his inspirations from Sanskrit literature for all his works including Light of Asia. Another Englishman, indirectly associated, is Alexander Hamilton who taught Sanskrit to a German, named Fredrick Schlegel, in Paris in 1802 for six years. Later, Schlegel published a book on The Language and Wisdom of Indians in 1808. It produced a revolution and aroused great interest in Vedic literature in Germany. Britain devoted and invested most of her talents in the development of diplomatic skills. It has not helped mankind in the way Germans have contributed to the welfare of mankind. All the empires, as history reveals, went to ruins and left their imprints of history. The great contribution to the world by India, Greece and Germany will always be etched in the annals of history. Additions to population, increase in territories - these are not growth in the spirit but rather a warning of misery and calamity in the future. Non-Muslim or European scholars have not done much serious work on Islam. Whatever work has been carried out has been done mostly by Muslim scholars or religious leaders. The aim of non-Muslim scholars is to provide the basic facts and general opinion about the religion and not to enlighten the reader with the finer points of Islam. It came to my notice during the reading of Islamic literature that Ummah was established in the neighbourhood in AD 620 as a secular club or Commonwealth of Jews, Christians and Arabs to collect taxes from those who went on a pilgrimage via Medinah to the shrine of Ka' bah, Prophet Mohammed was its arbiter. A few years later, by AD 632 it became non-secular based on the teachings and practices of the prophet. Secondly, political and religious authority merged into one. So far as Christianity is concerned Christians and non- Christian scholars and spiritual leaders have done enough work of the highest quality throughout the whole world almost in every language.